Chris Brown got a shoulder tattoo of his daughter Royalty. 5. 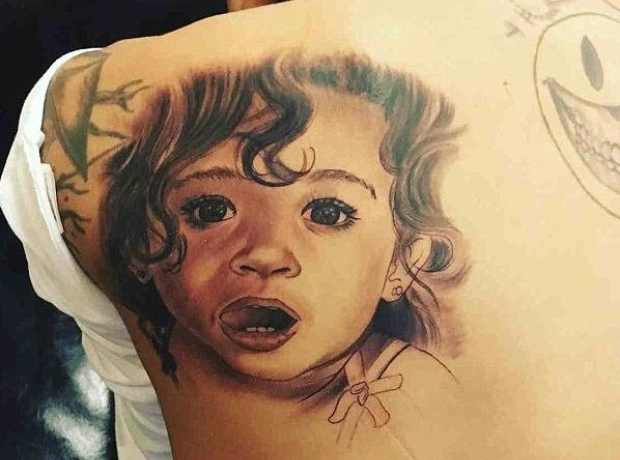 Chris Brown got a shoulder tattoo of his daughter Royalty.